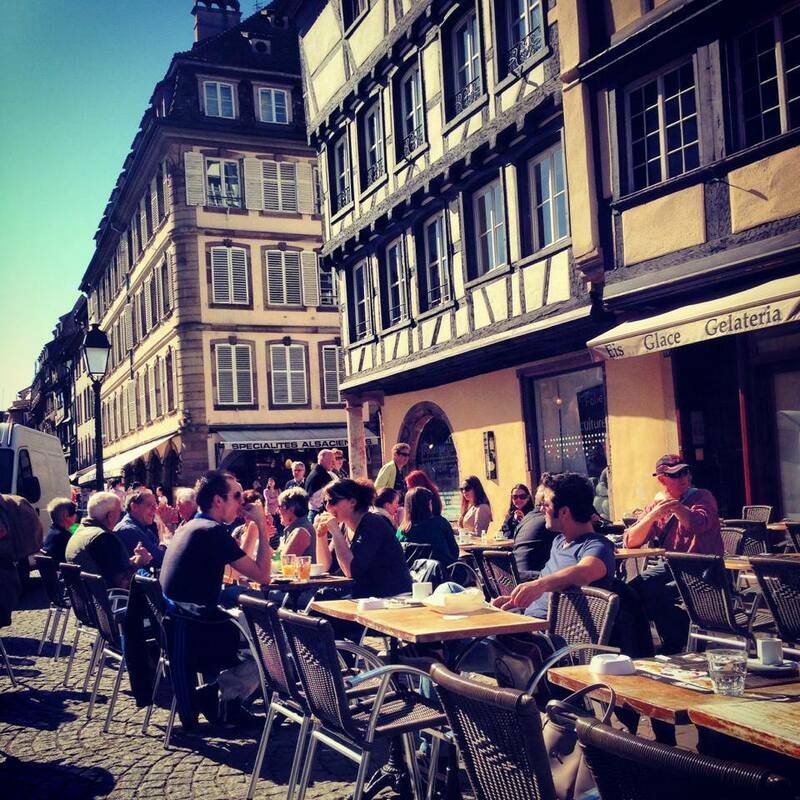 I started my last day in Strasbourg at around 8 in the morning. Whenever I travel on my own, I never book breakfast inside the hotel that I’m staying in as I would like to be outdoors when I eat my favorite meal of the day. Well that and the fact that breakfasts in 2 star properties in France tend to always be a continental one which I think is for sissies. I want a real breakfast with real eggs and bacon or ham. So off I went to look for a good restaurant to sit in for a few hours with a good ambiance but not until I take a few photos of La Petite France first. I thought that at 8 in the morning I’ll be able to enjoy Strasbourg by myself with maybe quite a handful of tourists roaming around. Well I didn’t know that Strasbourg gets busy that early then I remembered the previous night that everything was closed at 10pm. The hopes of taking a photo of La Petite France with few or no people at all did not happen, oh well. I finally sat on one of the restaurants right in front of the Notre Dame at around 10am. I had to stress the time when I sat because there were a lot of people in the same restaurant drinking beer, that early. I felt a little ashamed of my hot chocolate specially when two ladies who were probably in their late 50’s ordered a glass of beer as soon as they sat down. The restaurant was called La Cigogne, the location is prime – facing the Cathedral itself. 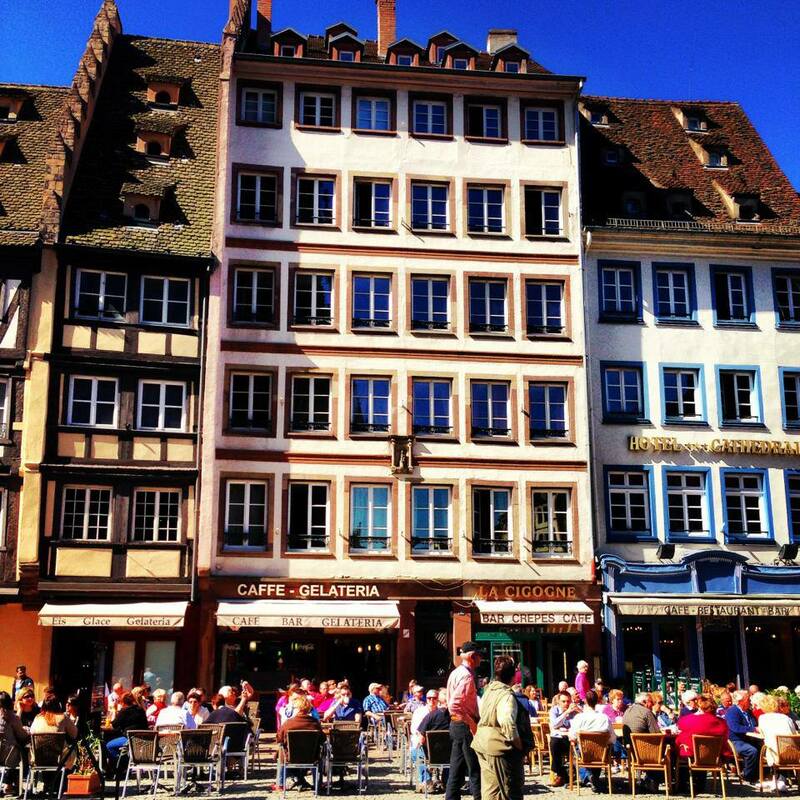 I sat outside of course to enjoy the ambiance of Strasbourg and to enjoy the sun as well which I have missed incredibly since I didn’t see/feel much of it while I was in Paris a few days ago. 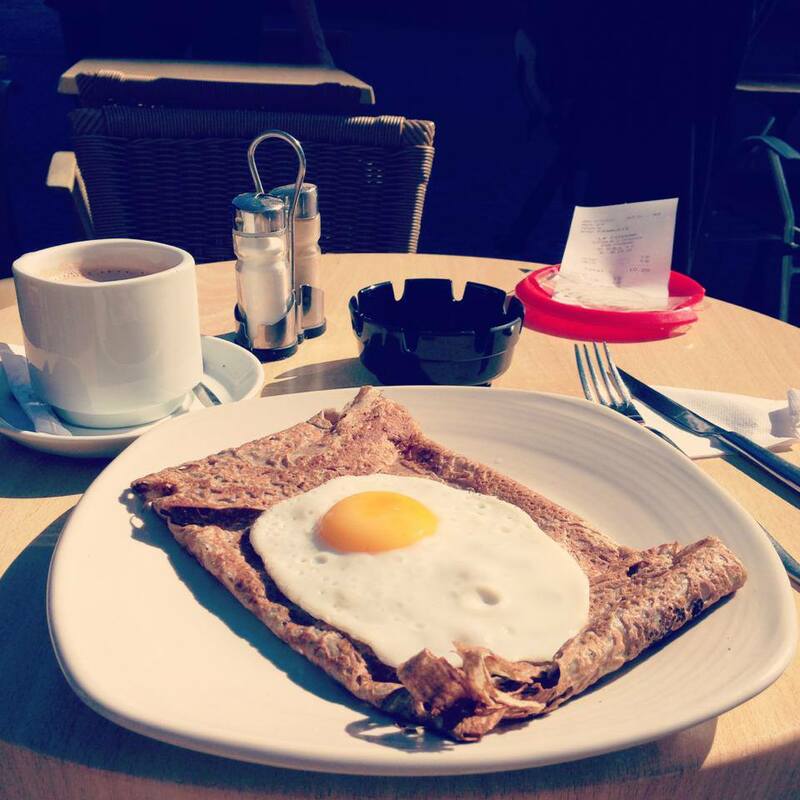 I ordered their complete breakfast which is a ham and cheese crepe with a sunny side up egg on top of it. Hot chocolate and a bottle of water are both extras. The crepe was good which is actually not very heavy nor very light. Still, I’d prefer this breakfast over a continental one. The service was fast, I wouldn’t really say that it was friendly though but they were efficient so I was happy. I don’t blame them since there is clearly a boundary between me and them – the language. I can’t speak French and they can’t speak much English too, it’s a good thing though that the menu had an English translation. The location and the ambiance is the best selling point of the restaurant, I’ll definitely recommend this specially if you’d just like to admire the beauty of the massive Notre Dame Cathedral in front of you. It was lovely and yes, I do agree with you that it somehow becomes an adventure. Moreso if they mixed up your orders, then it becomes an action-packed thriller. Lol.